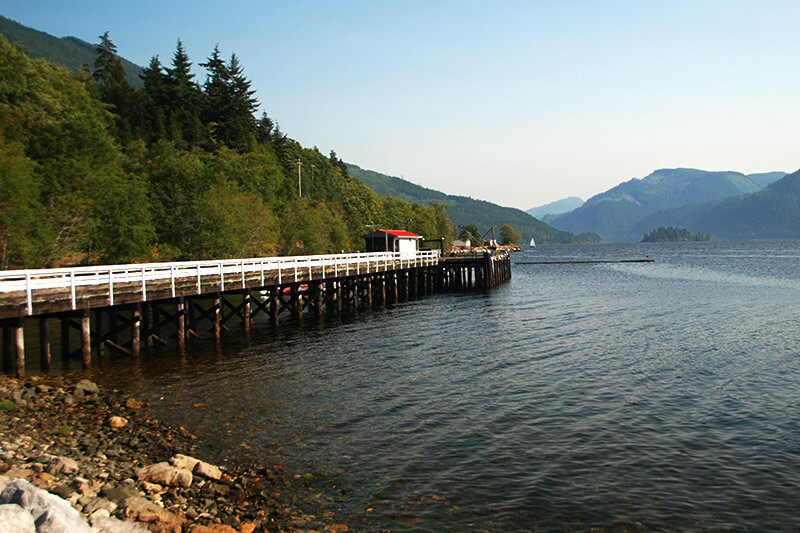 The small community of Port Alice is located on beautiful Neroutsos Inlet, one of Vancouver Island’s gateways to the wild and wonderful west coast. Port Alice is an attractive, well-planned village named after Alice Whalen, whose family operated three local pulp mills in the 1920’s. In 1965, Port Alice became B.C.’s first instant municipality. 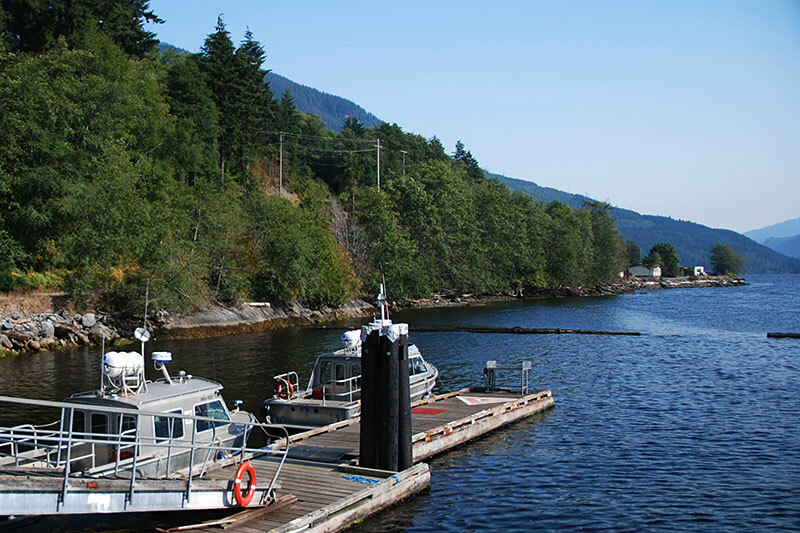 The new townsite was built to replace the original company town 4 km up the inlet. The village has a shopping area, a hotel, RV campsite, liquor store, hospital, library, fuel facility, marina, and yacht club. 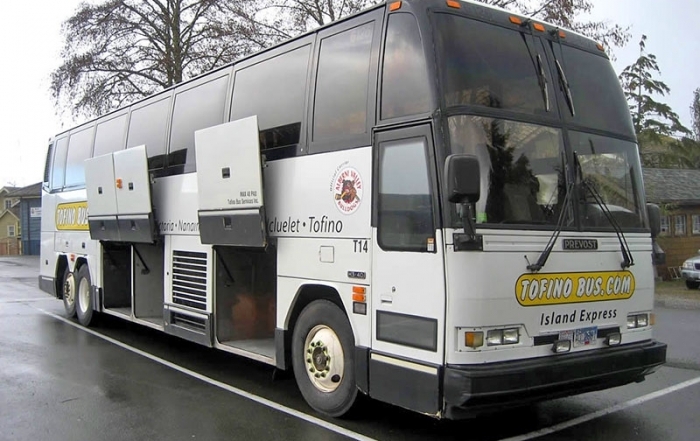 There is a fully-equipped recreational complex with weight room, hockey rink and curling ice. 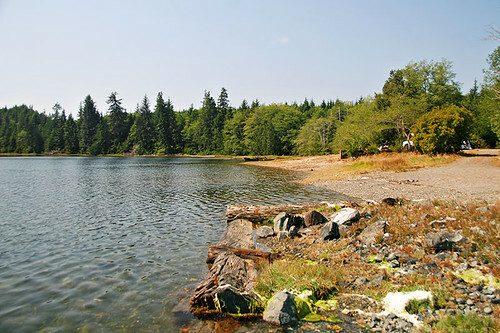 Location: Port Alice is located on Neroutsos Inlet, southwest of Port McNeill. 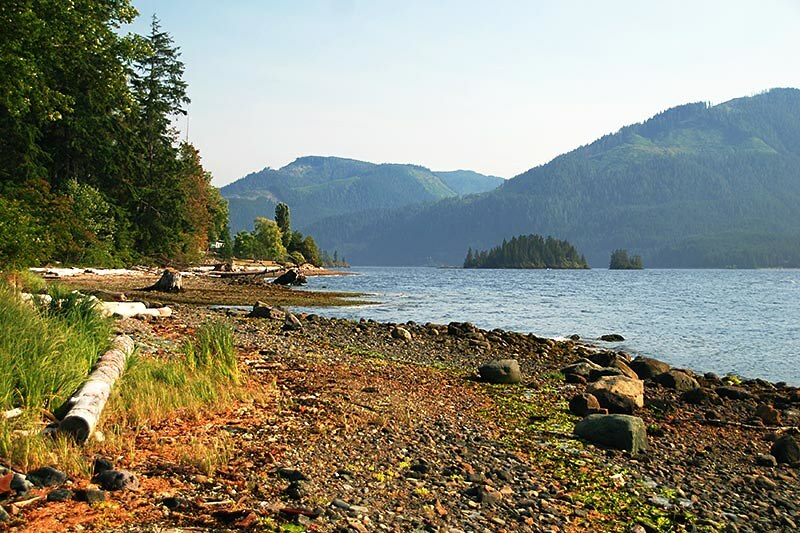 Take Highway 30 off the Island Highway 19. 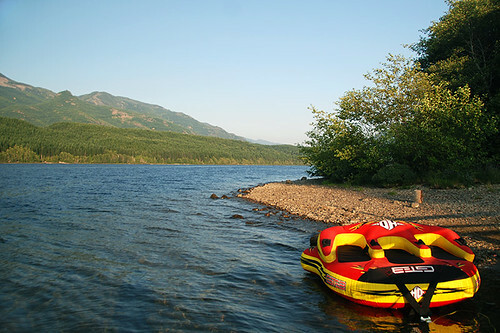 Outdoor Recreation: Port Alice is a popular spot for hiking, mountain biking, fishing, kayaking, and sightseeing out in Quatsino Sound and at nearby Alice Lake and Victoria Lake. 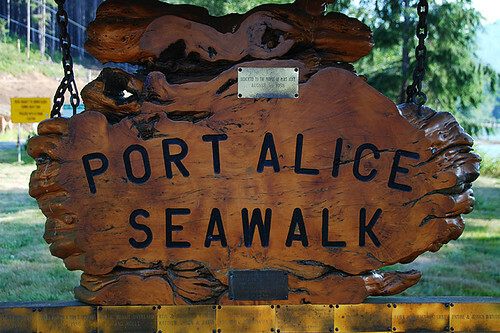 Port Alice Seawalk: It’s a pleasure to stroll around Port Alice, not just to admire the town, but also to let your eyes drift across the landscape. Stroll along the Seawalk, a 3-km scenic path along the shores of Neroutsos Inlet, ending at a beautiful picnic area where a short wilderness trail links the shoreline, and at low tide you can access Walkout Island. 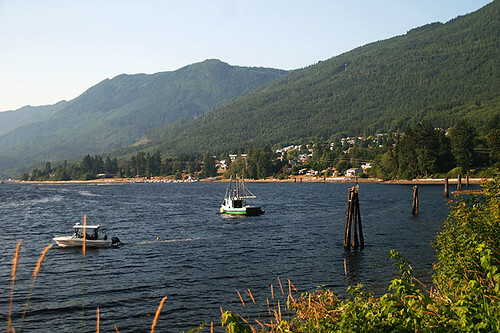 Marina: On Port Alice’s sheltered shores of Neroutsos Inlet, Rumble Beach Marina offers up to 20 slips, reasonable rates, potable water, fish-cleaning station, garbage disposal and port-a-potty. 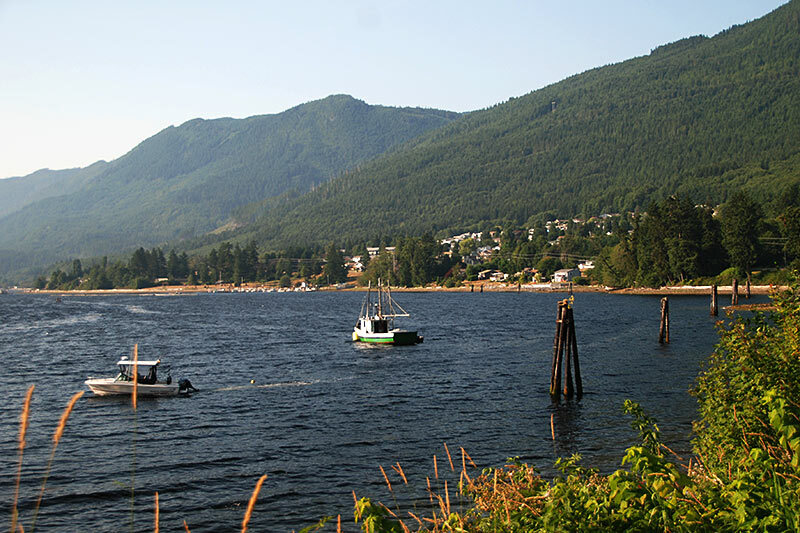 Art: Port Alice is a paradise for artists and photographers. 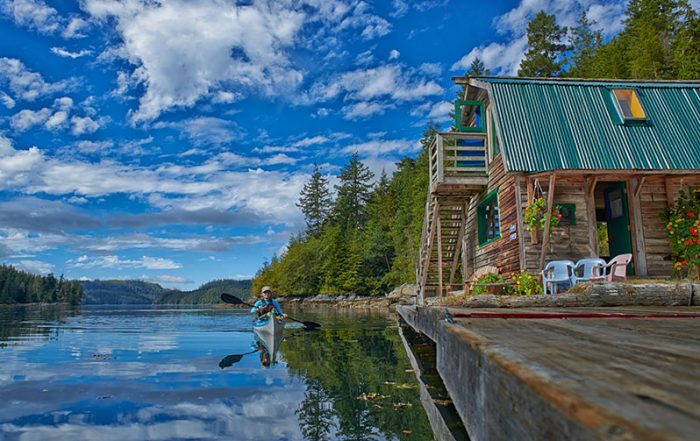 Look for nature and wildlife photos by local photographer Darrell McIntosh or visit one of the waterfront galleries on Marine Drive: Seaside Studio & Gallery (stained glass) and Dan Nordin Artist’s Gallery (acrylic west coast nature paintings). Orchids: Port Alice has been officially listed in the Royal Horticultural Society’s “Book of Registered Orchid Hybrids” in London, England. The new orchid hybrid, a slipper-type flower, is the result of crossing a complex hybrid Paphiopedilum “Western Sky” with a species Paphiopedilum appletonianum. This new genetic line is completely unique and its development in Port Alice puts the town’s name into “Orchid History”. Port Alice thanks Pat Diamond for this beautiful Orchid! Limestone Formations: Acquire good logging road maps for the Port Alice area, as there are numerous points of interest and unique natural wonders that are accessible by backroads, including Devil’s Bath and the fascinating Eternal Fountain, both part of the Quatsino karst formation on the Alice Lake Loop tour. Camping: Right in town, the Port Alice Campground is across the street from the water and offers laundry facilities. 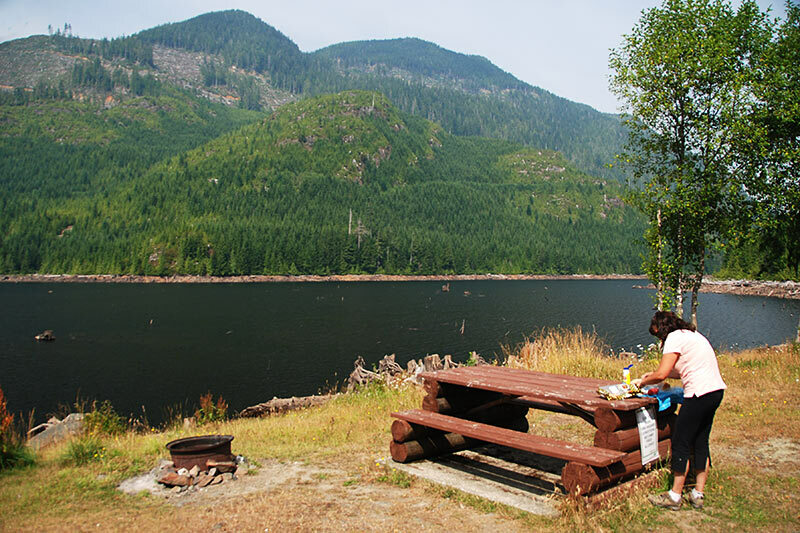 Link River Regional Park campsite on Alice Lake is about a 20-minute drive from town, and features waterfront and woods sites, outhouses, a playground, dock, and boat launch. Hiking: Take a serious 8-hour hike (no fresh water, no facilities, no signs) from the Mahatta River to the open Pacific Ocean at Lawn Point. 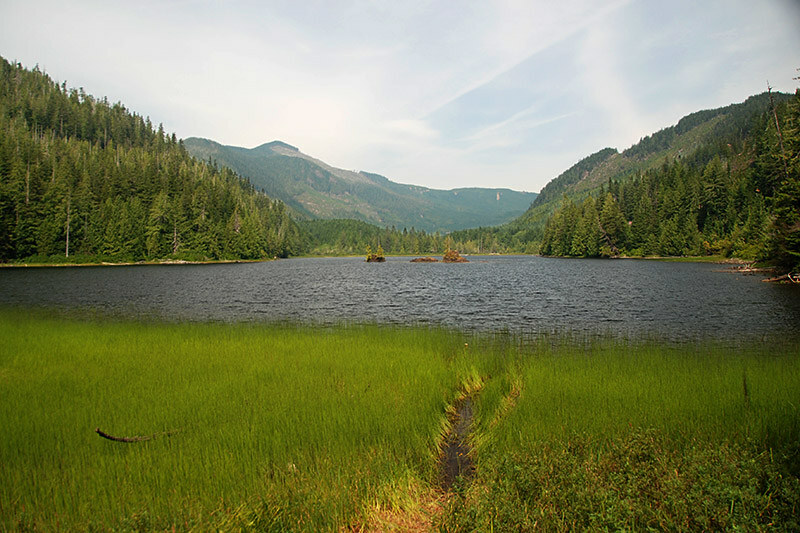 The trail is unmarked, so local knowledge is required to hike the trail. Golf: The 9-hole public golf course at Port Alice Golf & Country Club offers a good challenge by virtue of its setting on the side of a mountain, with narrow, tree-lined fairways and small greens. Before you tee off on hole number three, remember to climb the tower to see if the green is clear! Picnic Sites: Link River/Alice Lake, Spruce Bay, Le Mare Lake and O’Connell Lake are good places to head to with a picnic hamper full of goodies. 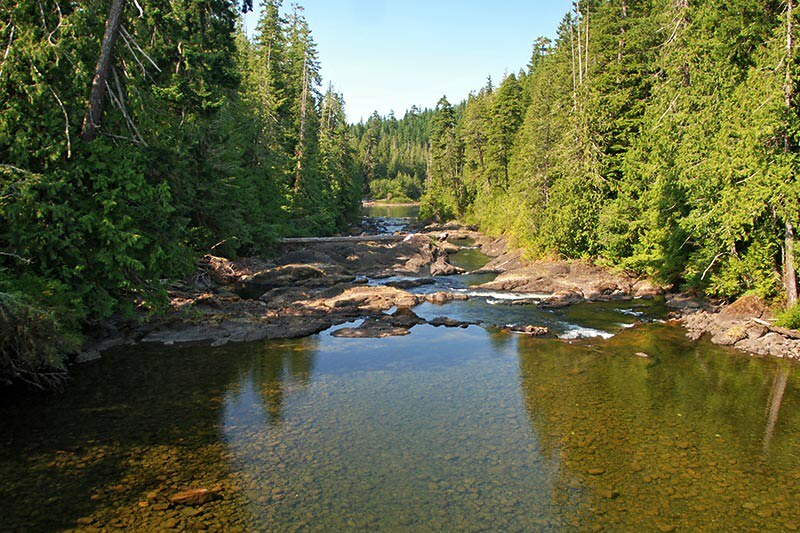 Marble River Provincial Park and recreation area offers great outdoor activities, with hiking trails leading down to the Marble River rapids. 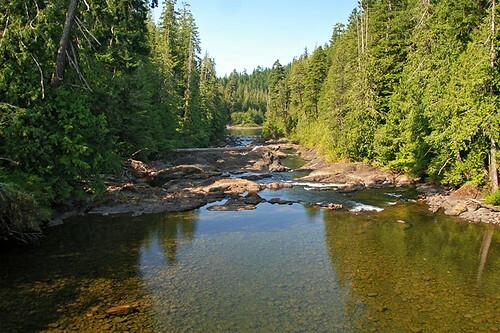 Marble River is known as one of the island’s best steelhead fishing rivers. West Coast: Port Alice is also a gateway to the West Coast of Vancouver Island. 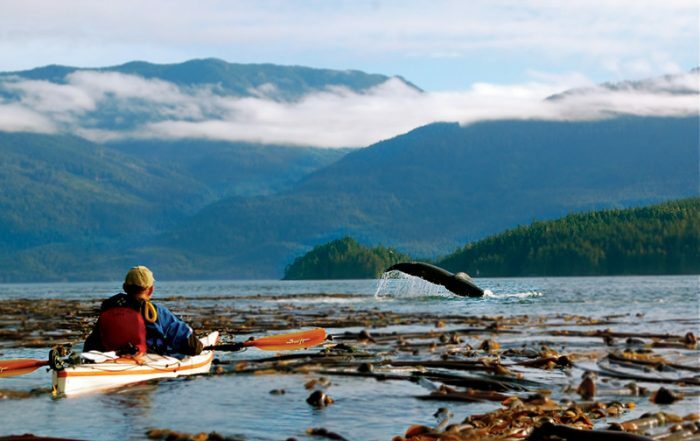 With a boat or kayak, normally inaccessible regions, such as Brooks Peninsula, can be accessed. This is a vast, windswept sea-sprayed section of Vancouver Island’s northwest coast. The snout of Brooks Peninsula offers some protection from the winter storms that blow south from the Gulf of Alaska. 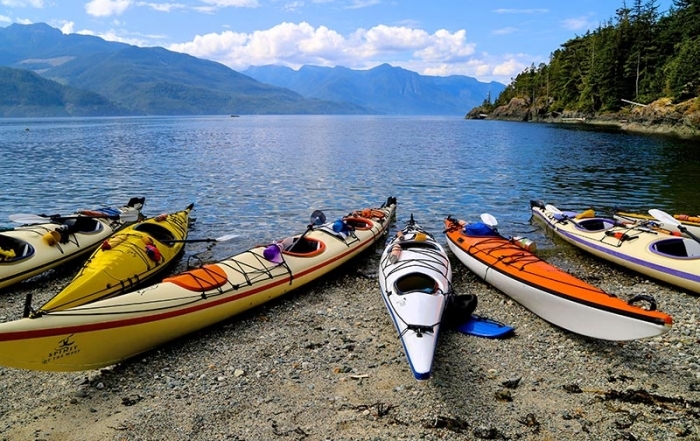 Sea kayakers should beware the fury of the winds and surf that build around its protruding bulk. The rewards of making the journey are the solitude provided by the surroundings and the sight of magnificent stands of Sitka spruce, the only species of tree able to thrive under constant salt-and-magnesium-loaded spindrift that the winds whip from the tops of the swells and carry ashore in the breeze. Logging roads will take you to the deserted beaches of Side Bay, Gooding Cover, and Harvey Cove. In the sheltering forest, marbled murrelets nest in the deep moss that enshrouds the thick branches of the spruce. Herds of Roosevelt elk graze in the lush, green understorey, while black bears forage in the berry-laden bushes. 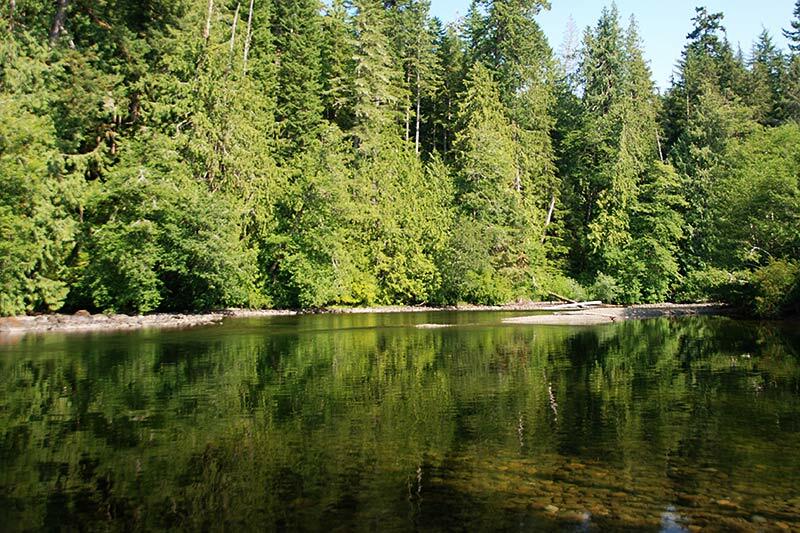 If you are among the few visitors who make their way here each year, you will be treated to one of the last remaining enviroments on the west coast where logging has been held mercifully at bay. 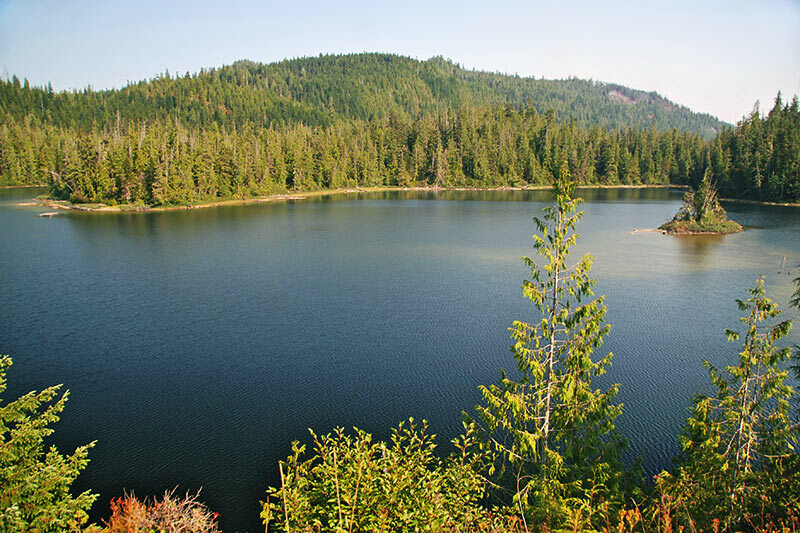 Brooks Peninsula / Muquin Provincial Park is huge, 127,528 acres of wilderness that is best explored with the help of a guide. Jeune Landing is a port facility on Neroutsos Inlet in Port Alice that includes a wharf, a float dock, and an official floatplane approach. Jeune Landing was named after the Jeune brothers, Channel Islanders from Jersey, who manufactured canvas products in Victoria from the time of the gold rushes. 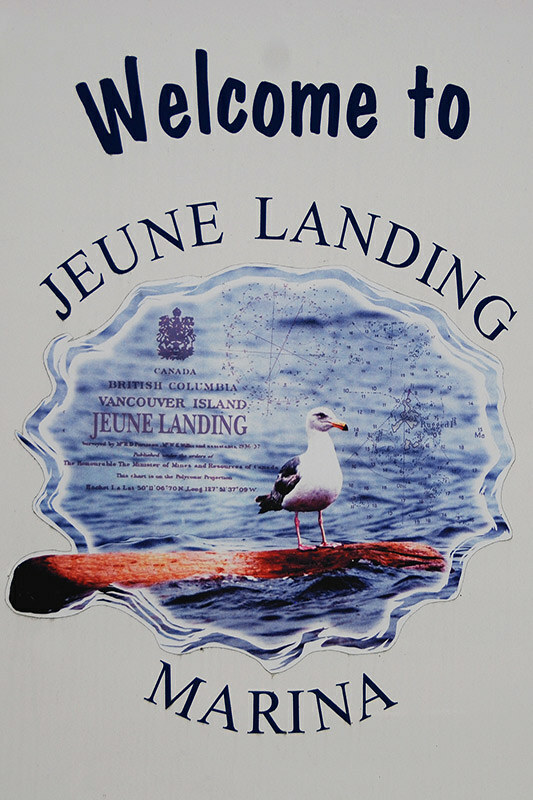 Jeune Landing was a drop-off point to which the firm shipped tents, tarpaulins and canvas products ordered by clients, including surveyors and loggers. 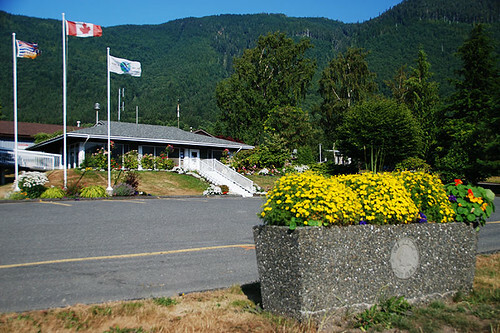 North of Port Alice is the town of Port Hardy, located at the northern end of Island Highway 19. 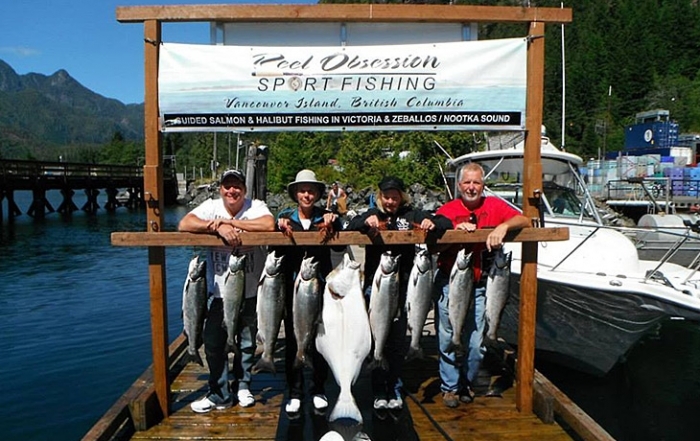 Port Hardy is the largest community on the North Island, with many facilities. Visitors can enjoy a wide variety of outdoor activities, as well as shopping and exploring the local arts and culture scene.